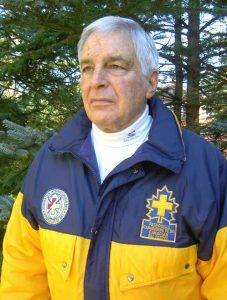 Mark Labow, Canadian Ski Patrol Life Member No. 6, passed away on April 24, 2018. Mark was into his 70th year with the Canadian Ski Patrol and was our longest ever serving member. More than that, Mark was one of our greatest builders and played a profound role in making us the organization we are today. In Mark’s memory, his family asked that any donations be directed toward the Mark Labow Education Fund. Mark’s fellow life members will oversee this fund to support educational projects. Thank you for your support.